Create an infinite number of projects. Better UI to rotate and zoom in/out on the map. This version is not compatible with the previous version. Hence, if you have data that you wish to keep them, you need to export them as DXF, and then import them. This is the new welcome screen! In the previous version(s), the first screen was the screen with points, in this version, the first screen is the screen with the projects. 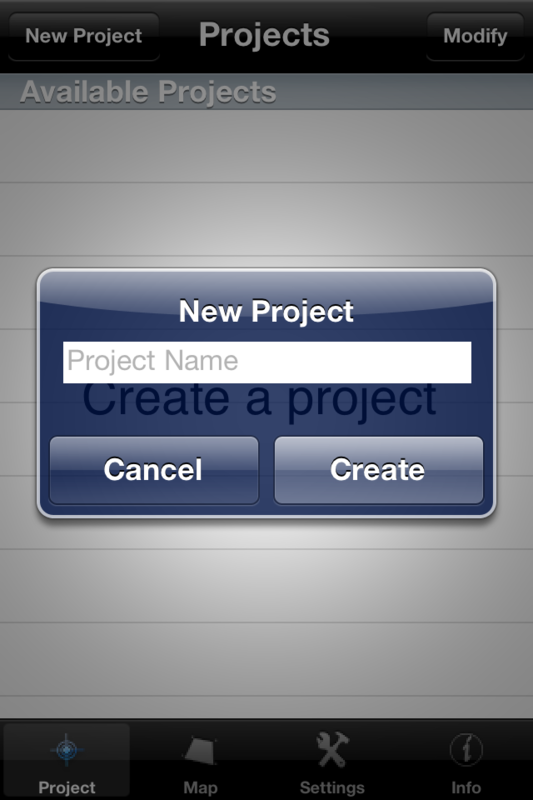 Here you can create a new project or modify (change the name) of an existing one. If you wish to delete a project, simple drag your finger horizontally over the row, and click on the "Delete" button. 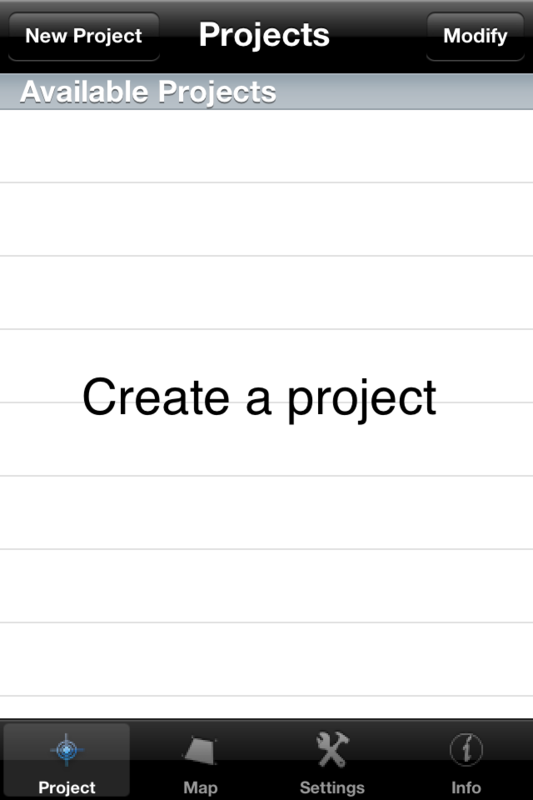 Once you create a project, select that row to add some points. If you import a DXF file, a new project will be created, and you will not be able to modify the points. 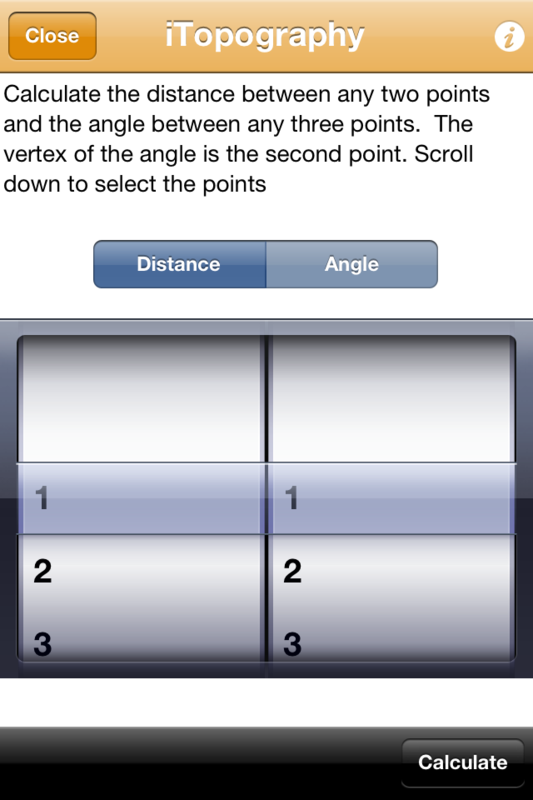 When you select that project, you switch to the "Map" tab, to calculate the area. The "Map" has changed a little bit, but all the features that the previous versions had, are still present. When you click on the "Transform" button, you can rotate the map and zoom in/out on the map. When you click on the "@" button, you can email the data or export them in DXF format. 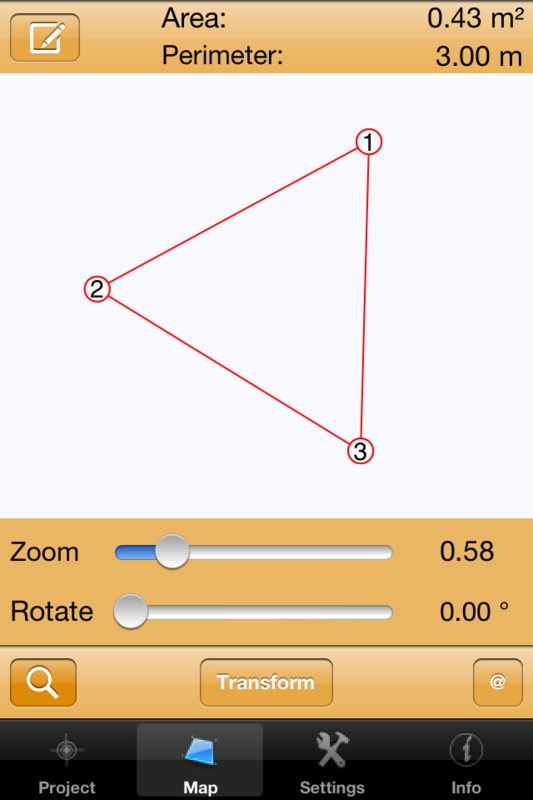 When you click on the search button, the one with the magnifying glass, in addition to the tool for computing the distance between any two points or the angle between any three points, you have access to the "i" button, that gives the coordinates, the length of all sides, and the vertices of all angles.